He is the author of Pithei Teshuvah [Open Doors to Repentance] and Nakhalat Tzvi [Tzvi's Inheritance] on the second part of the Shulkhan Arukh [codification of Jewish law], Khoyshen Mishpet [fourth part of the Shulkhan Arukh], and Even Ha'ezer [Stone of Help] and the order of religious divorce and Halitzah [ceremony by which a brother-in-law can be released from the obligation to marry his brother's widow]. 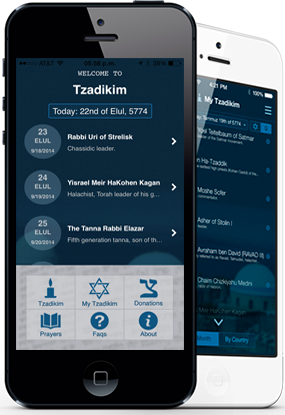 These were the most prevalent books among scholars and rabbis. Today they are published as additions to the Arbe Shu”e [four parts of the Shulkhan Arukh]. His great grandfather on his father's side was the Ba'al Ponim Me'iros [Shining Countenance], Reb Meir EISENSTADT, who was a grandson of the Gaon [genius or brilliant man] Meir Avi Hashen; he was also a grandson of the Gaon, the sharp-witted one, our teacher HERC, president of the rabbinical court in Zolkovi. 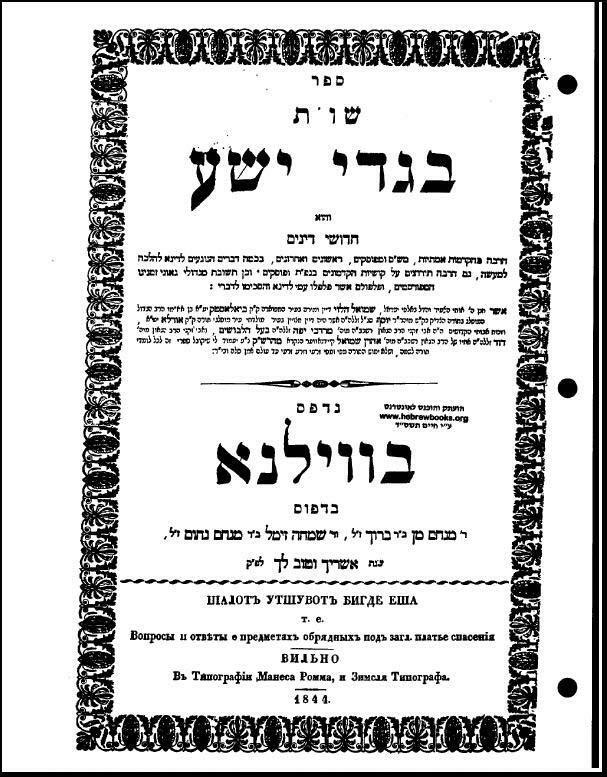 When the Bialystoker administrative offices moved to Grodno in 5592 (1842), Bialystok [lost its status] as a gubernia city, Reb Avraham Tzvi EIZENSZTAT's paper business failed; he became dayan [religious judge] in Grodno. 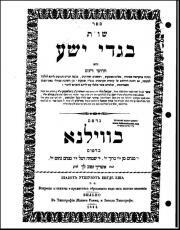 In 5590 , in Vilna, he published his Pithei Teshuvah on Yoreh Deah [part of the Shulkhan Arukh dealing with Kashrus]. After this, when he had been the dayan in Grodno for several years, he became the rabbi in Brestowic, a small shtetl near Bialytsok and in 5616  the rabbi in Utiyan [Utena, Lithuania], where he took a salary of 3 rubles a week. When he became a great celebrity, Ponevezh [Panevezys, Lithuania] suggested a salary of 25 rubles a week. However, he refused because he did not want to disturb his study with employment in a large city. He was well known as a sage and a righteous man. He died on the 3 Elul 5625 [25 August 1865] in Koenigsberg, where he had come to be healed from an illness. He was only 53 years old. Was taken away from us. His understanding of “The Sea of the Talmud” was great. Honored be the name of his Torah knowledge, our teacher Reb Avraham Tzvi, may the memory of the righteous be blessed, head of the Holy Community of Utena, author of the book Pithei Teshuvah. Was taken to his ancestors with a good name, Friday the Eve of the Holy Shabbat 3 Elul [25 August] and was buried Sunday 5 Elul 5625 [27 August 1865]. May his soul be bound in the bond of the living. Sheyna-Mashais, his oldest daughter, born in Bialystok, the wife of the Aszmener Rabbi, the Rabbi Meir-Mikhal, was a great scholar, knew the entire Tanakh, Midrashim, Ein Yakov and languages, German, Russian, Polish and French, in addition to Hebrew. Her son from her first husband was Leon Rabinowicz (Aish Yehuda [Man of Judah]) the former editor of HaMelitz.